90% of the user out there want to change the color, background and themes in their operating system from time to time. 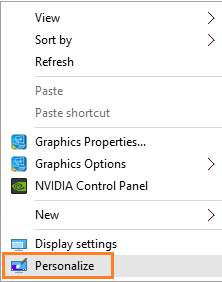 It gives your PC fresh look every time. Each one of us have different color choices also related to our nature. Thats where windows personalization settings come into use. Microsoft have given user the ability to change color theme of their Computer. By having a dozens of color options there, user can pick his favorite color to be used in start menu and taskbar. Lets us see how to change start menu and taskbar color in windows 10. Step 1 – Right click on the desktop anywhere. A menu will appear and in that menu click on personalize. You can also go to the personalize settings by pressing windows key+r together to reach settings, and then clicking on personalization. Step 2 – Now, once you reach in personalize, just choose colors from the left menu. Now, click on any of the colored tile here to choose your accent color. 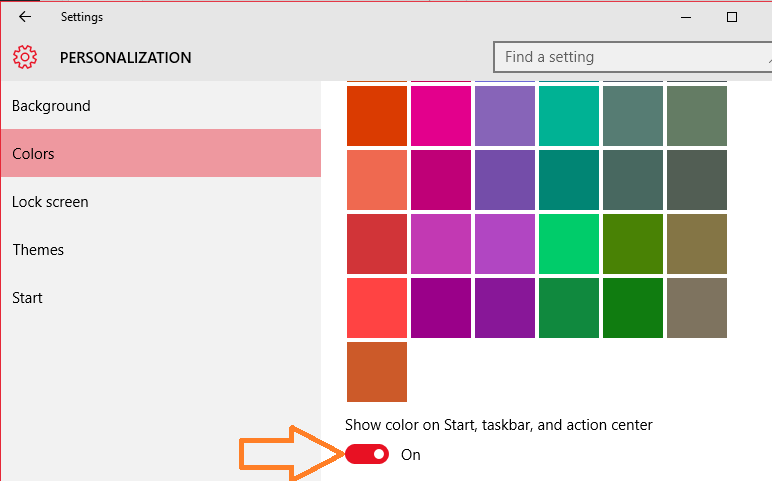 Step 3 – Now, turn on the option saying show color on start, taskbar and action centre. Note: – You can also turn on the setting saying automatically pick an accent color for my background. 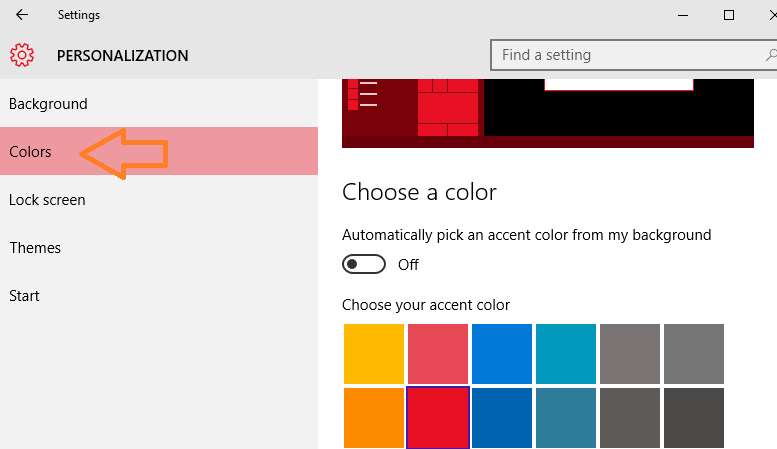 By turning on this setting you are letting windows to randomly pick an accent color everywhere. Now this color scheme will be visible everywhere including your start menu, taskbar and action centre. To change to a different color just go to personalize to pick a color.